These photographs show Catharine Bratton Wright as a baby and as a young woman. She married William C. Menninger in 1925. They had three sons, Roy Wright, Philip Bratton, and William Walter. All three sons continued the Menninger Clinic in Topeka. The clinic was established in 1919 by Dr. C. F. Menninger and his sons, Dr. Will and Dr. Karl. 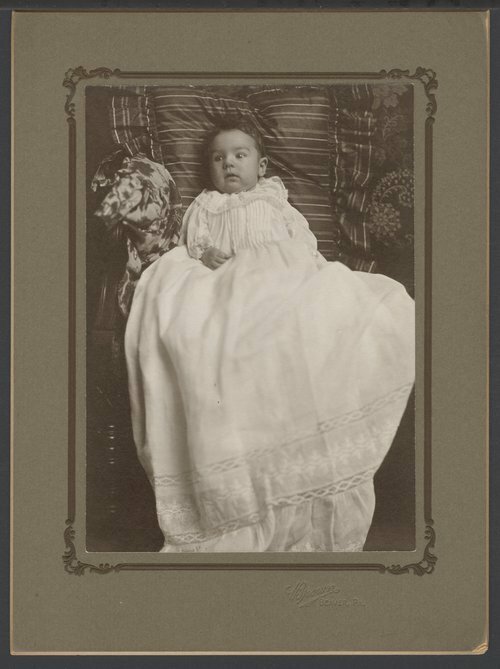 Catharine Wright - Catharine Wright as an infant.